What do you get the person who has little need for material gifts? A gift certificate to Ephraim Shores is always a good idea! Ephraim Shores, one of the premier lodging in Door County, Wisconsin, destinations, will open its reservation book January 5 for the 2015 season. Arm your favorite gift recipient with the prospect of a beautiful Door County weekend in the form of a gift certificate. 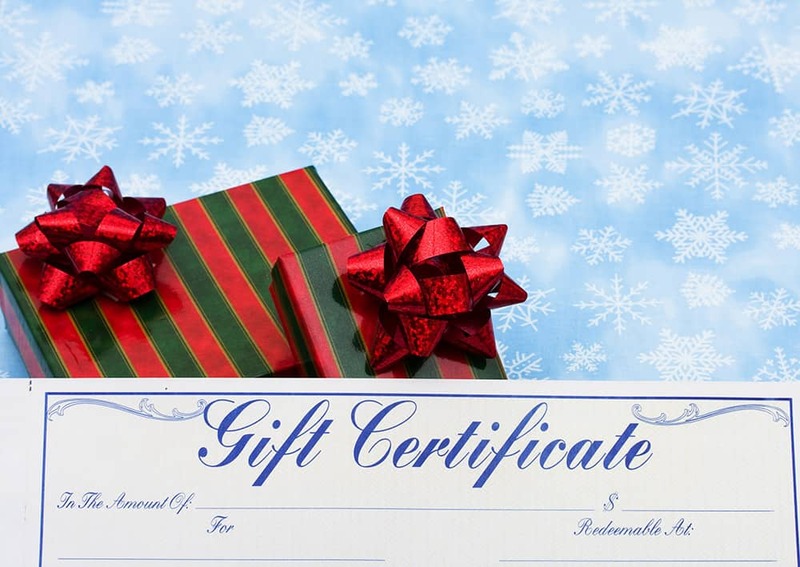 Call us at (920) 854-2371 to order your gift certificate today. In the meantime, Door County during the holiday season is one of the most beautiful places in Wisconsin. Click here for more information about the season’s activities. Tour homes beautifully trimmed for the holidays, including the Merry-Time Festival of Trees display at the Door County Maritime Museum. Door CANcer’s “Holiday Home Tour” will take place Saturday, December 6, from 10 am – 4 pm. All money raised benefits local families dealing with cancer in times of financial need. Ephraim hosts its annual Christmas in the Village events on Saturday, December 7, in and around the Ephraim Village Hall. Visit Santa and his helpers at the live reindeer display, enjoy children’s activities and crafts, holiday open houses, wagon rides, soup, and the Christmas tree lighting ceremony. Call or visit www.ephraim-doorcounty.com for more information.